I love the city where I live in spite of the traffic, the pollution and general chaos that comes from living right smack in the center. Having said this, I have to admit that I do take regular opportunities to distance myself from it in order to rejuvenate myself. We all need a respite from real life and even if we find that sanctuary an plane ride or a car ride away, the journey in itself is already healing. Being near the sea is highly therapeutic for me and soaking in it acts as a major purifier, extracting all kinds of toxins from the mind and body. This is the reason why people ingest sea salt, by marinating their food with it (although I sometimes take a small pinch and eat it directly) or use it in their bath or shower water. 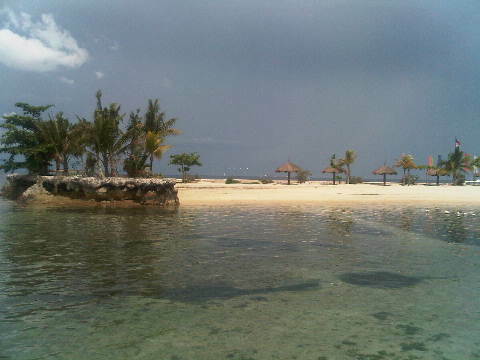 Cebu, a city down south, around an hour flight from Manila holds wonderful memories for me. Friends, food and fun are what I associate with it and going down for a couple of days is something I look forward to. I can just sit on the sand and soak up the rays for an hour or so and then splash around in the sea or float blissfully for another hour more. There is a more laid-back vibe in Cebu that I do not get in my country’s capital and I am glad that I always have an opportunity (many times without even planning). I often ask my friends where they go for a little escape. and find the answers amazingly varied. One has actually created a small space in her room where she has tacked on a photo of the sea and she just sits in front of it, sprays the room with her favorite scent and just meditates, imagining the sea breeze and the sound of waves around. Much cheaper than flying for sure.